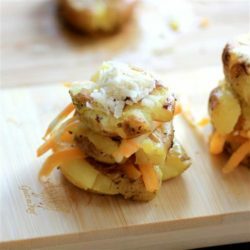 Fun potato stacks – An appetizer that the family can make together. Help your kids learn cooking skills while you spend fun, quality time together. 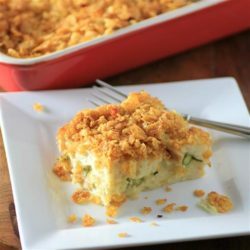 This make-ahead vegetarian casserole is filled with fresh summer produce, havarti cheese, and farm fresh eggs. It’s perfect for a weekend brunch. 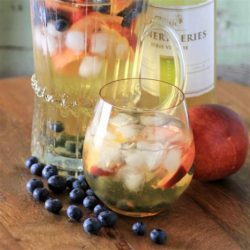 Made with premium homemade pinot grigio, this cocktail is fruity and fun! Learn how to make wine in this post, too. It’s so easy! Healthy and fresh, this recipe pairs pineapple marinaded chicken breast with crunchy cashews for a delicious dinner. 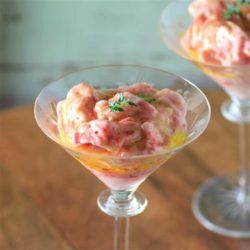 All the flavors of a banana split; pineapple, strawberry, bananas and banana liqueur are whirled up into a frozen vegan dessert. 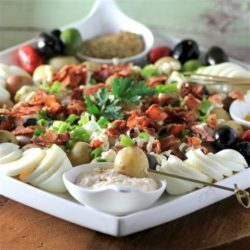 A simple and delicious deconstructed potato salad, turned into a fun and easy to serve appetizer. 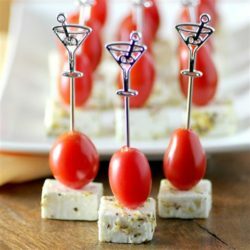 Great for Summer parties. 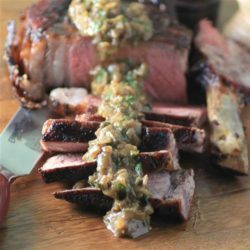 A bone-in beef ribeye steak is grilled and topped with a delicious brandy green peppercorn sauce. 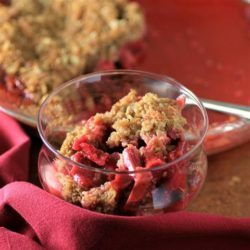 An easy summer dessert of rhubarb and strawberries with a crunchy crisp topping. 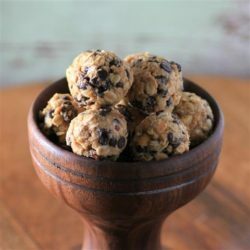 These no-bake treats will give you the energy you need to make it through a long day. They’re full of protein and fiber, but they’re also delicious. 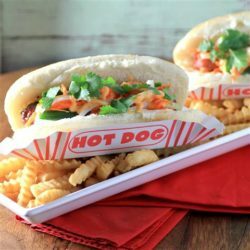 All the flavors of a spicy Vietnamese sub on a hot dog. 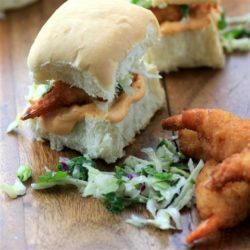 Topped with a spicy Asian slaw and Sriracha aioli. 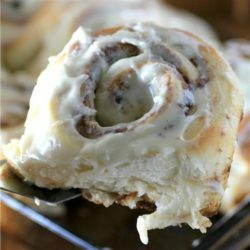 The comfort food cinnamon roll you love, in an easy version that you can make at home. Tastes just like it came from Cinnabon! 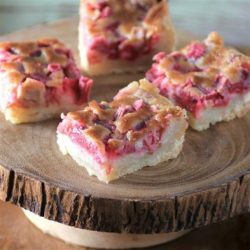 Creamy rhubarb custard is nestled into a flaky butter crust in this dessert recipe. 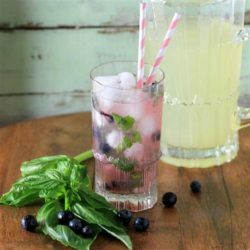 This refreshing drink pairs traditional lemonade with fresh basil and blueberries. It’s Summer’s answer to refreshment! 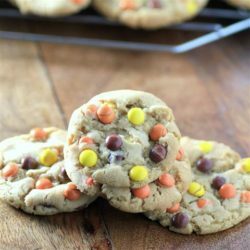 Classic peanut butter cookies with peanuts and peanut butter candies inside. 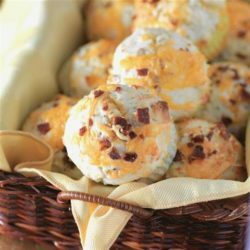 Fluffy muffins are packed with crispy bacon and cheddar cheese to make a delicious breakfast on the go. 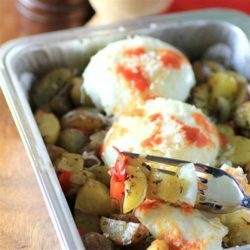 Seasoned creamer potatoes and veggies are topped with poached eggs, cheese, and a splash of hot sauce. 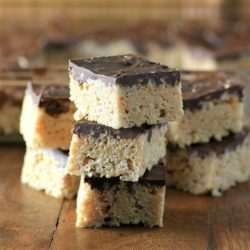 A twist on traditional crispy treats, these no-bake bars have peanut butter, butterscotch chips, and a layer of chocolate added to them. 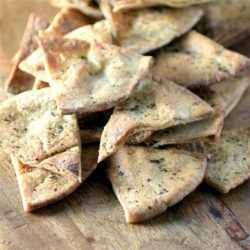 Baked whole wheat pita crisps are a healthier snack option. This recipe is vegan, low fat, and low in cholesterol. 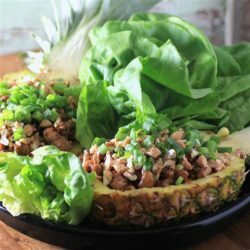 Put an Asian twist on your favorite Mexican dish. 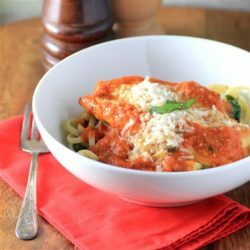 Vegan, gluten-free, dairy free, low carb, and delicious! 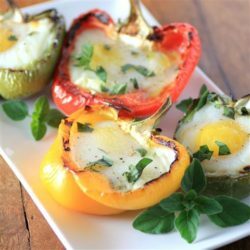 Sweet bell peppers are filled with eggs, feta cheese, and fresh herbs, then grilled up for a delicious breakfast, brunch, or meatless dinner. 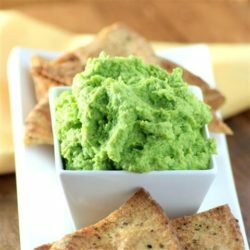 A simple vegetarian appetizer that’s loaded with flavor. 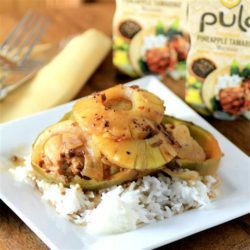 A very easy chicken dinner that marinades in Pulo Pineapple Tamarind and then is popped onto the BBQ on indirect cooking. 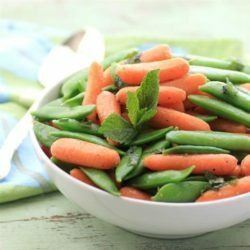 Fresh carrots and snap peas are tossed with melted butter and mint. 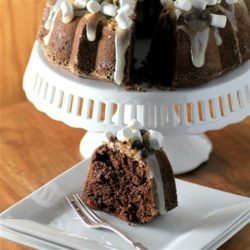 A rich dark chocolate cake with dried cherries, walnuts, and rocky road toppings! 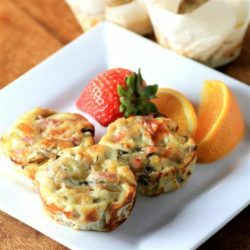 Gluten-free, individual sized frittatas stuffed with Canadian bacon, sliced mushrooms and shallots. 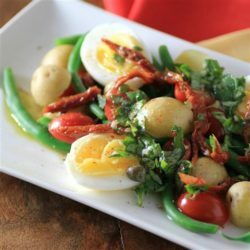 Perfect for brunch or a light dinner. 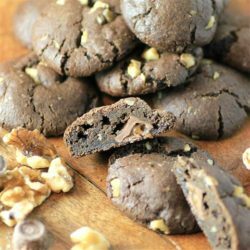 A chocolate cookie studded with walnuts and a little surprise of caramel inside. 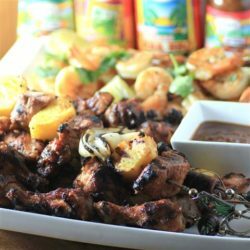 Chicken, pork, and shrimp are seasoned with jerk flavors, put on a skewer with fresh fruits and vegetables and grilled to perfection. 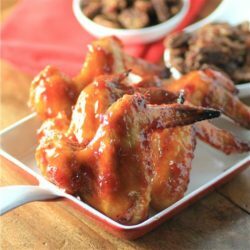 Chicken wings are slowly roasted in a Chipotle Lemongrass Maple Syrup with a hint of Southern Comfort and some added spice from cayenne. Cheese pizza for one, in bite sized fun! 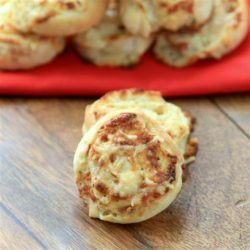 Great for lunch, dinner, game day, or after school snacks. 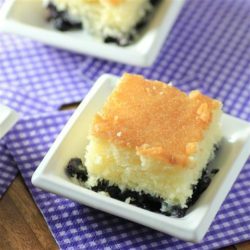 Fluffy vanilla cake sits on top of a layer of blueberries in this easy recipe. 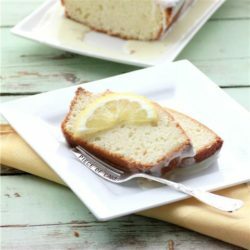 A moist cake infused with bright citrus flavor and topped with a sweet glaze.